Play it loud, let it sway your body for 30 minutes, and you're on your way to a trance experience. This album was written and performed by Japanese thumb piano player Sakaki Mango, student of the late Hukwe Ubi Zawose, a National Treasure of Tanzania. The music on this album emphasizes the trance-like feel that flows out of the limba and mbira, with a select few songs spiced with emotion-driven melody to give them an Asian "taste". Within their soft, embracing sounds is a snagging, subtle distortion that can't be ignored, and a driving polyrhythm that make these instruments so unique. To attain the most pleasant balance of this subtle, naturally distorted sound, five microphones were used simultaneously to record each instrument. Unlike most non-traditional 'ethnic music" ensembles which pursue "well-mannered" and "healing" sounds, Sakaki Mango uses simple, repetitive phrases to bring out the "abnormal" groove that affects the listener's body directly, sending him into a musical high. Sakaki Mango draws the listener into his unique world, where a genuine African sound is uncompromised by his own style of vocals. The Japanese lyrics blend smoothly into the African mood, and the subtle buzzing sound is emphasized well ... wrapping up a well-designed blend of feel-good music. Sakaki's technique and style go far beyond mere imitation, generating a fresh breeze that flows through his music. This is truly the music of an individual that has inherited the spirit of Africa. ...although there is no lack of Japanese musicians these days who play traditional instruments of non-Japanese origin, I don't think there are any who play at the level Sakaki does. In a way, he is on a par with tonkori player OKI. The lyrics in his native Kagoshima dialect are delightful. What amazing power! The thumb-piano is often associated with LOHAS and "healing" music but Mango's technique gives new life to the natural distortion of the instrument, making it trance-like and punkish. Play it loud, let it sway your body for 30 minutes, and you're on your way to a trance experience. From traditional Zimbabwean music to original songs sung in Kagoshima dialect, there is a nice mix of variety in his repertoire. He ranks up there with Alaya Vijana, GOMA and OKI as one of the best modern Japanese musicians who play non-Western instruments. Honestly, I was quite shocked when my speakers began buzzing and vibrating right from song one. Mango may as well be screaming out, "Tame ethnic music is boring!!" In the same sense that really good music, African or otherwise, glimmers with a sense of wildness, I found this experiment to be quite enjoyable. All in all... this buzzing sound is addictive! Mango is my long-lost little brother. I'm relieved to hear that he's taken the path of "distortion". This album is full of minimal groove, emphasizing the charm of the instrument's distorted sound through delicate sound production. It has a pleasant feel to it, much like the Mice Parade album that gave strength to the recent "Afro-minimal" trend. This album gives a clear demonstration of why Konono No.1 toured Europe with Tortoise. The sound of the limba reminds me of the sound of railroad tracks, which I enjoyed listening to as a child. It has a natural, extremely pleasant groove to it. I first heard this instrument as it was played by Mango's teacher and master musician, the late Zawose. Then I later heard this performance. Sakaki Mango's Limba Train departs from Asia, steers past the Indian Ocean, and makes stops in Dar es Salaam, Harare and Kinshasa as it takes us deep into the streets of Africa. When Japanese musicians take on ethnic instruments of other cultures, they tend to end up leaning toward purist or "healing" styles, but in this case there is no need to worry about that. The sounds emitting from the instrument completely become one with Sakaki himself. He has acquired a genuinely traditional yet completely original sound. Who can play the limba and mbira more beautifully than Sakaki Mango? It just makes me feel so good. His playing and singing fill my heart with a peaceful harmony. He makes the music of a land so far away feel so close. 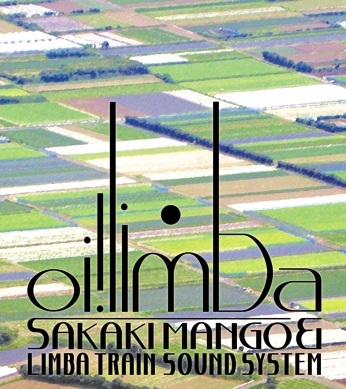 * In "Latina" magazine January 2006 issue, Sakaki Mango's "Limba Train" was selected as one of Yoshimoto Hidesumi's "Best Albums of 2005". copyrights © yokabanna unlimited. all rights reserved. this website powered by aozora-sha.